While applying a cumulative update I ran across the following error. An unexpected error has occurred and a Watson dump is being generated: Could not find a part of the path 'C:\Windows\Temp\ExchangeSetup\bin\EnterpriseServiceEndpointsConfig.xml'. 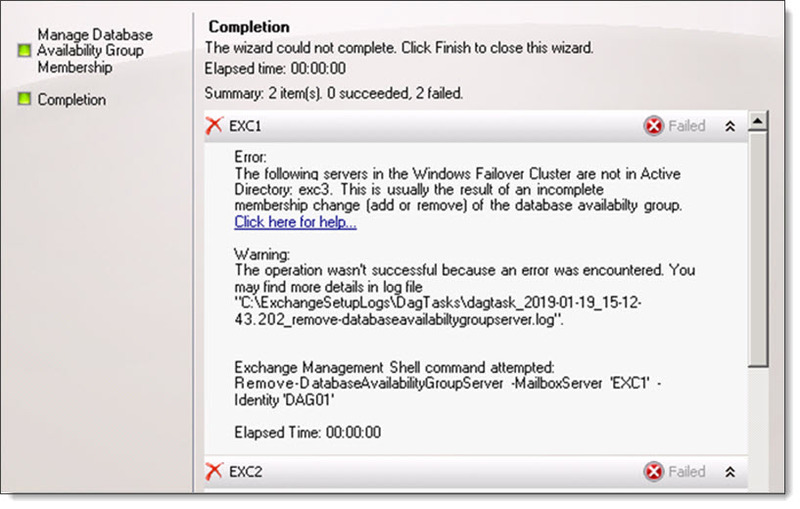 The Exchange setup log essentially repeated this same error, without any additional clues. The C:\Windows\Temp\ExchangeSetup\ folder is a staging area used by setup to unpack temporary files. These files are copied to this temporary location during the ‘Initializing Setup’ and ‘Copying Files’ steps. 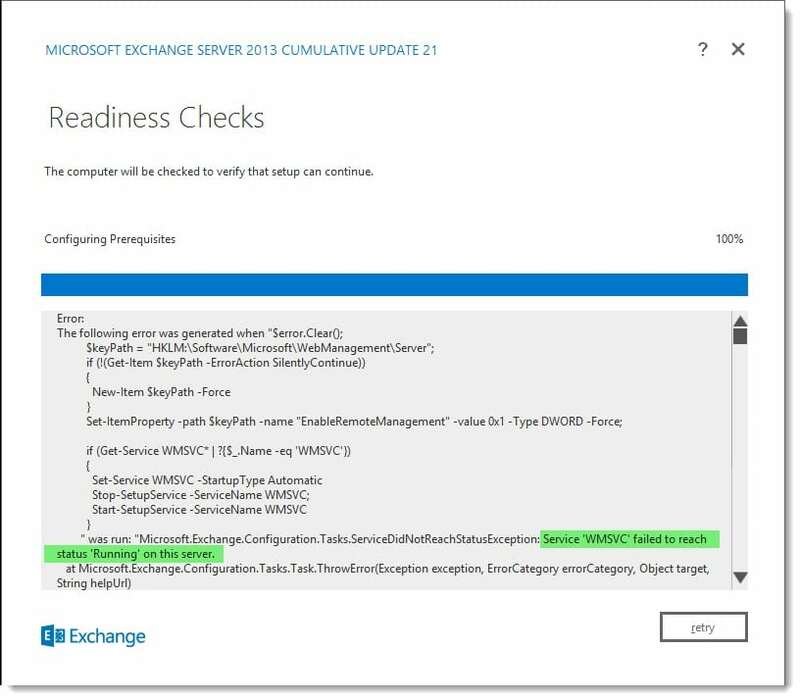 When performing a cumulative update on Exchange 2013 I ran into an issue where the finalization step was hanging as 45%. When I checked the Exchange Setup logs I saw the following repeated over and over. 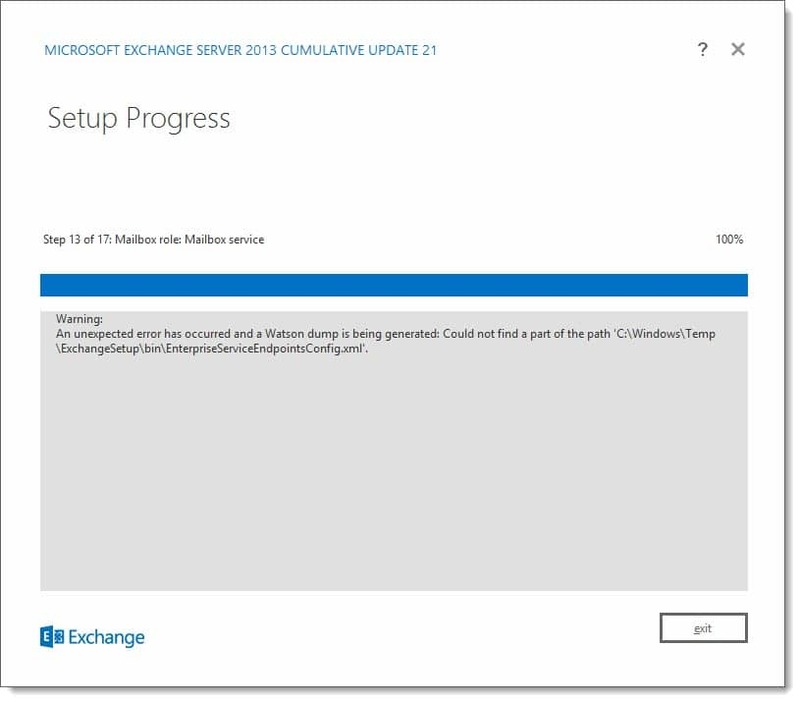 Service  'MSExchangePOP3BE' failed to reach status 'Running'  on this server after waiting for '25000' milliseconds. [WARNING] Service checkpoint has not progressed. Previous checkpoint='0'- Current checkpoint='0'. Previous service status query time is '7/5/2018 1:35:37 AM'. Current service status query time is '7/5/2018 1:36:02 AM'. 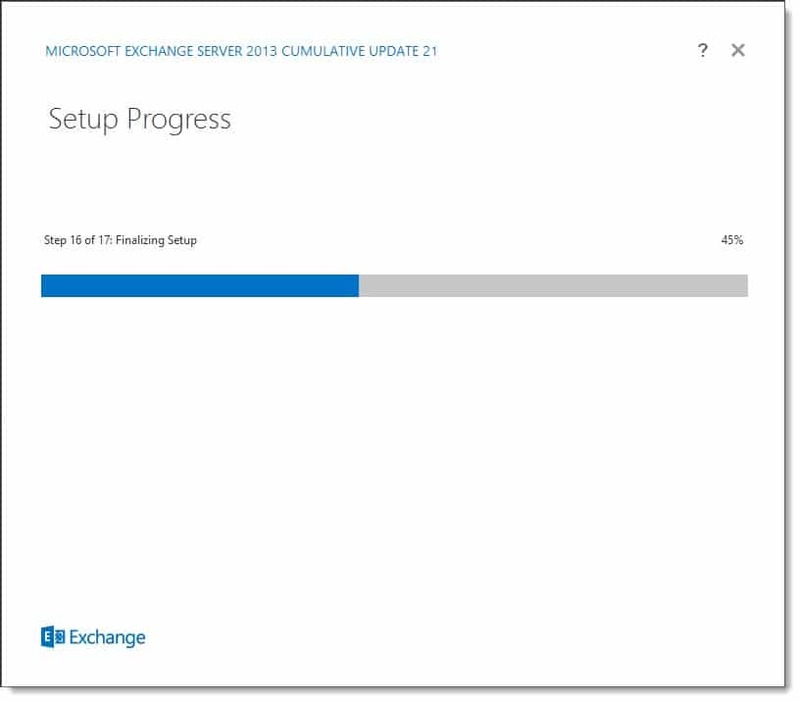 Will wait '25000' milliseconds for the service 'MSExchangePOP3BE' to reach status 'Running'. 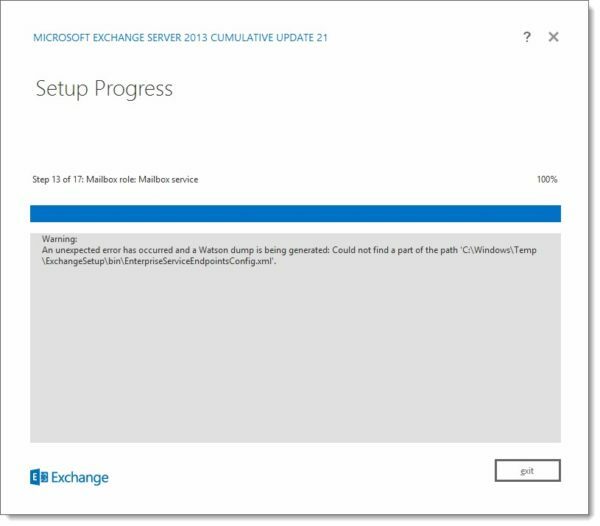 In this instance, the Exchange setup was unable to start the POP3 backend service. Attempting to start the service manually through the Services MMC also failed. Upon checking the System Event Log the following error was reported. The address is already in use. Binding: 0.0.0.0:9955. 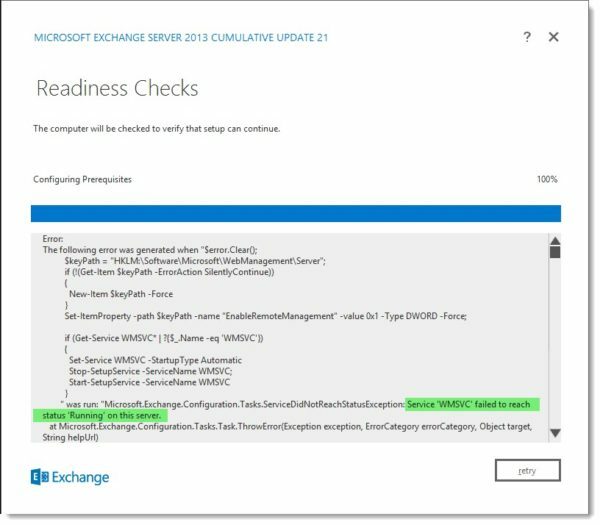 While upgrading an Exchange 2013 server to the latest cumulative update, I ran into the following error while setup was configuring prerequisites. Service 'WMSVC' failed to reach status 'Running' on this server. When attempting to start the service manually via the Services MMC, it refused to start, resulting in the following error. 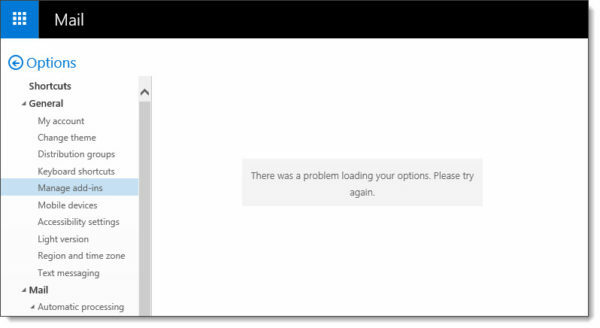 Windows could not start the Web Management Service on Local Computer. For more information, review the System Event Log. If this is a non-Microsoft service, contact the service vendor, and refer to service-specific error code -217483640. When reviewing the System Event Log an equally cryptic error was displayed. This error will appear when you navigate to the Recipient > Migration tab and click View Details on a migration batch. 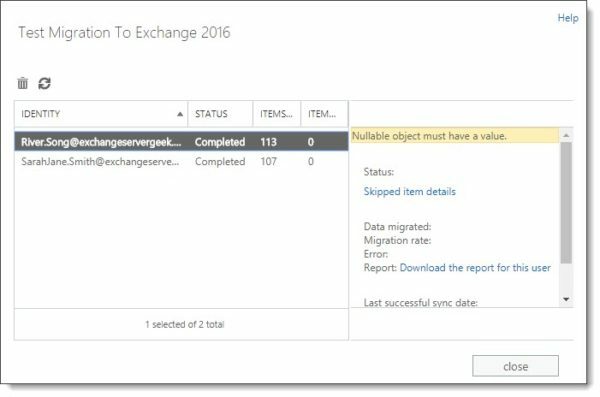 In the screenshot below we are examining a migration batch named “Test Migration to Exchange 2016” which contains two users. 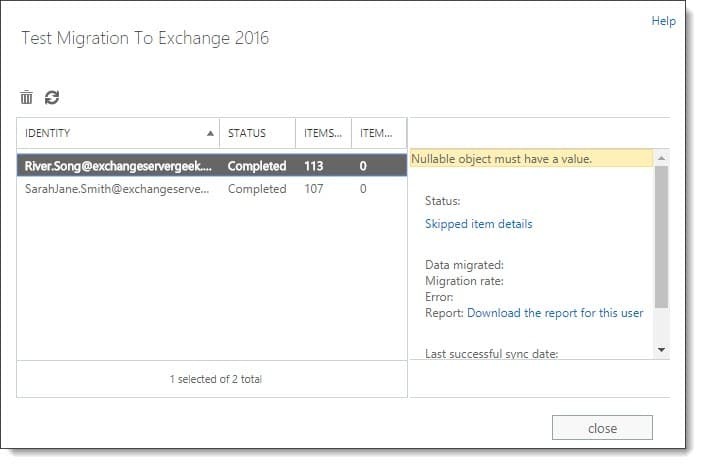 We are attempting to move these two users from Exchange 2013 to Exchange 2016. 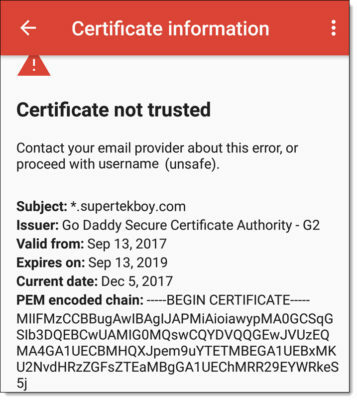 The Gmail app can't guarantee the security of this email address. Your messages would be at risk. 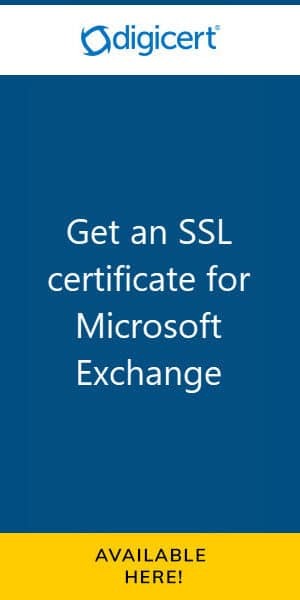 When clicking Advanced we received more clarification that the certificate was not trusted. 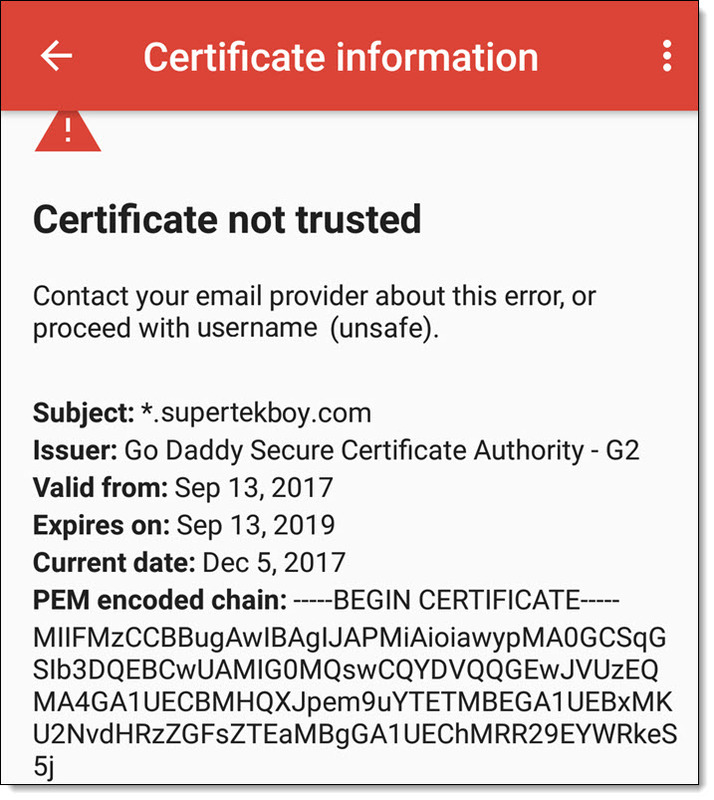 However, we could quickly see that the correct certificate was being presented to the Android devices and it clearly wasn’t an issue with the date. 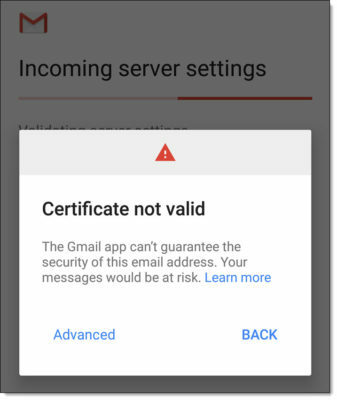 Contact your email provider about this error, or proceed with username (unsafe).